Can eating good chocolate be good for the environment? At Seven Spoons we’re passionate about the role that the private sector and restaurants in particular, can play in supporting products that are good for the environment and good for local people. We have a special affinity for products that support forests and the sustainable management of landscapes. One example of a product that can be incorporated within a forest landscape, add value and provide income to local farmers is chocolate. Cacao is an under-storey dwelling tree crop that can grow under the canopy of existing forest cover. It offers potential to be incorporated into efforts at rehabilitating landscapes through an agroforestry (blending trees and agricultural production) approach. This is good news. There is currently strong momentum around expanding forest area as part of meeting climate change mitigation and broader sustainability goals (ie. Forests are a carbon sink and to reach global ‘net zero carbon’ goals, carbon sinks such as forests and oceans inevitably play a central role). There are global commitments to increase forest cover. The Bonn Challenge for example, aims to restore 150 million hectares of the world’s degraded and deforested lands by 2020 and 350 million hectares by 2030. To make it really sustainable and equitable though, local communities should play a role and incorporating high value forest cash crops (not necessarily timber, but rather ‘non timber forest products’ or NTFPs) can be a vital strategy for doing so. The case of Marou chocolate, produced in Vietnam, provides insights into how this might be done. Reflecting 7 different and unique ecosystems in Vietnam ( Ben Tre, Ba Ria, Lam Dong, Dong Nai, Tien Giang and Tan Phu Dong Island), the single-origin chocolate bars are exquisite, beautifully designed and packaged, and sold around the world. Cacao cultivation has long colonial roots in Vietnam, but the approach of the Marou founders has been to ensure that the family farms which cultivate their cacao, often on less than a hectare, apply the best industry standards and raise broader awareness and capacities about sustainable production. Because cacao trees prefer shady undergrowth, mature trees can be retained forming a canopy overhead. Cacao is being piloted in areas of reforestation, in agroforestry initiatives and in buffer areas around national parks and protected areas where alternative livelihoods are being sought for local communities in order to reduce possible pressures on forest ecosystems. As representatives of Marou point out, it is a complicated issue with cacao production not inherently being friendly to forests, but having the potential to be depending on whether it is grown within existing forest systems or these are clear cut to provide space for the cacao production. Marou is piloting initiatives to do so in Vietnam as ‘proof of concept’ to test and demonstrate the viability of such business models that simultaneously contribute to bio-diversity and soil quality. Ultimately the demand of consumers will contribute to shaping how sustainable chocolate production is. An important point is also that there is value addition that takes place with the farmers themselves. The labor intensive fermentation and drying of the cacao beans is done by the farmers ensuring that this additional value is retained by them as opposed to further middlemen on the supply chain. As a result they can sell their beans at higher than bulk market prices. Value addition of raw products may be one of the most accessible strategies for reducing rural poverty. Ethical enterprises such as Marou then pay a premium to farmers for their post-harvest processing of the beans and ultimately it is the consumer that ensures that fair value is paid to the farmer. 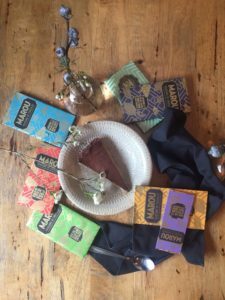 At Seven Spoons we are excited to be links in supply chains such as Marou chocolate: providing our customers with an outstanding product, and also showcasing pathways to more environmentally and socially sustainable production of regional products. Enjoy your Marou chocolate at Seven Spoons as our current dessert special: salted chocolate tart! For any questions or corrections on this blog, please email: regan@pairojconsulting.com. 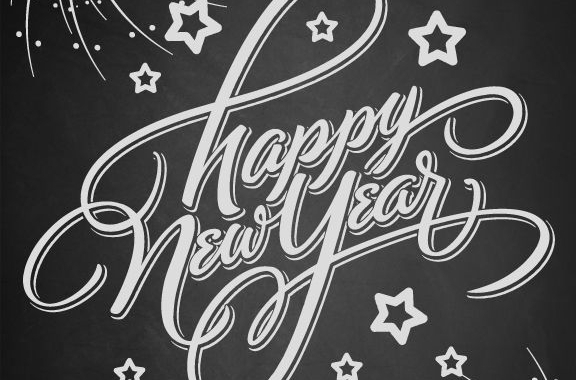 From all of us at Seven Spoons to all of our fans: Have a splendid 2015! We take a break from January 5-7, 2015. See you on January 8 for dinner!